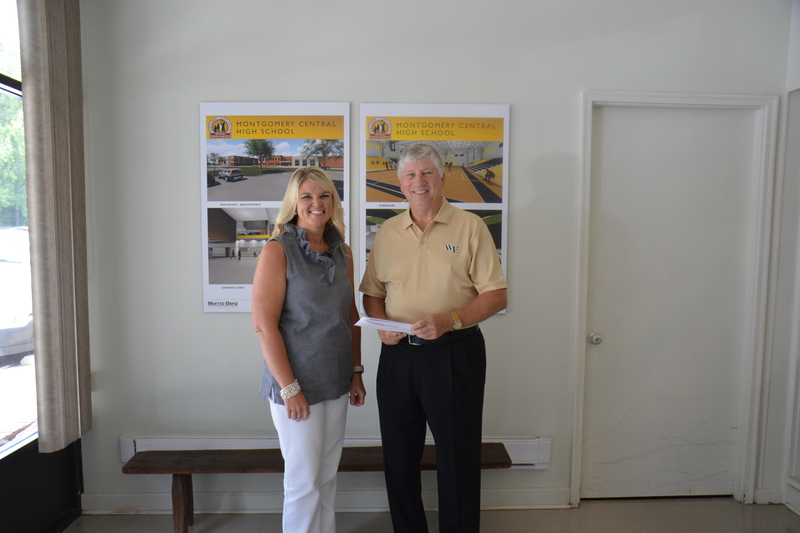 Montgomery County Fund Board Member Rick Kissell recently presented grant checks to Montgomery County Schools Public Information Officer Katie Hursey. The checks presented to Hursey and Montgomery County Schools will help fun their DARE program and support their Back-to-School Rally. 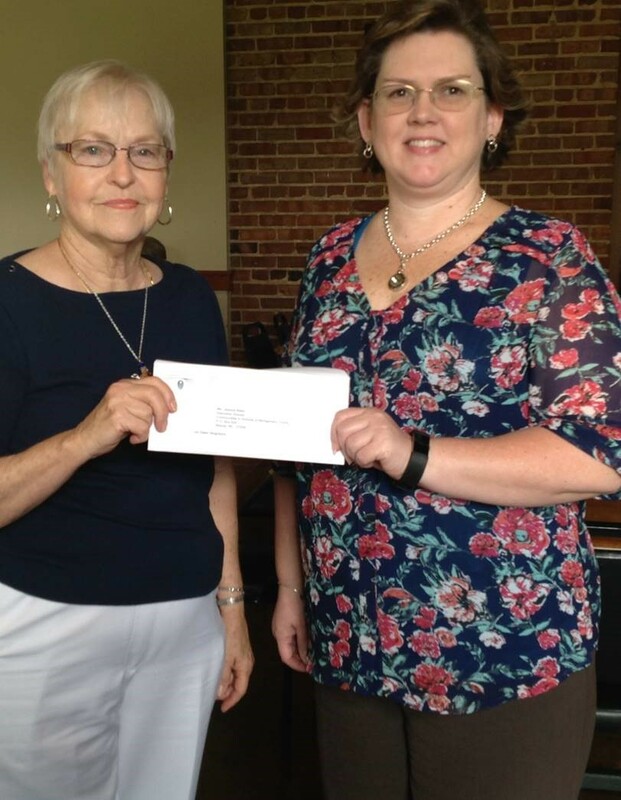 Pictured above, Montgomery County Fund board president, Sharon Matheny presents a grant check to Amy Frieary, board of directors chair for Communities in Schools of Montgomery County. At this meeting, Matheny was also able to present a second check to CIS from the Montgomery County Fund's Special Appropriation Grant from the State of North Carolina for a forklift and pallet jack to support their Backpack Pals program. Pictured above is a banner hanging in Page Street Elementary for Rachel's Challenge. MCF granted support for Rachel's Challenge this year to aid in the effort to facilitate positive interactions among students.